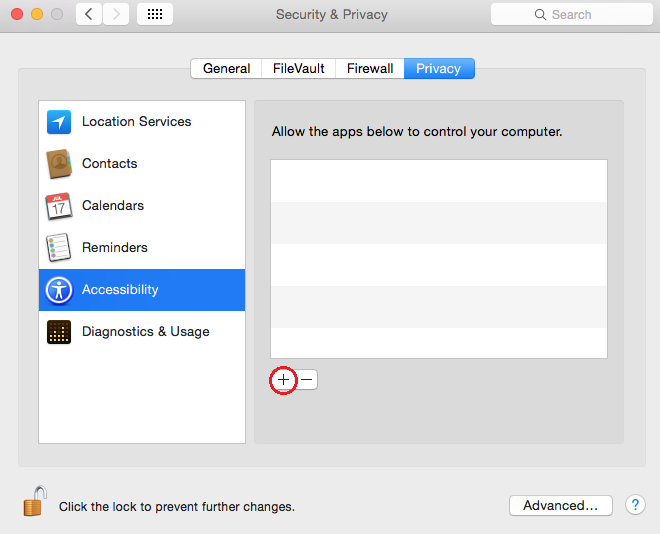 Go to System Preferences > Click Security & Privacy > Privacy Tab > Accessibility > Click on "+" button. 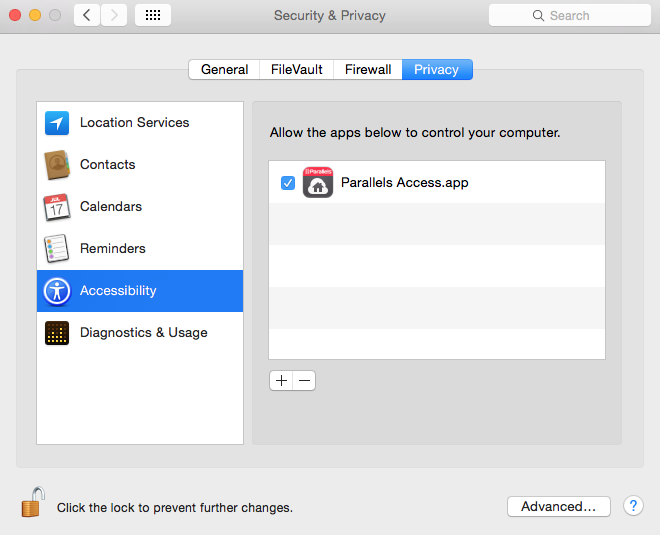 Open Application folder and choose Parallels Access.app from the list. Restart your Mac and reconnect.